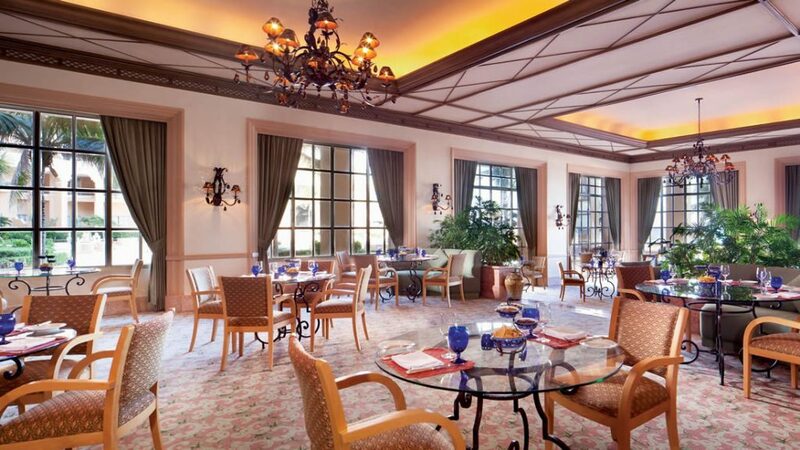 At The Ritz-Carlton, Cancun, luxury meets renowned gastronomical experiences. 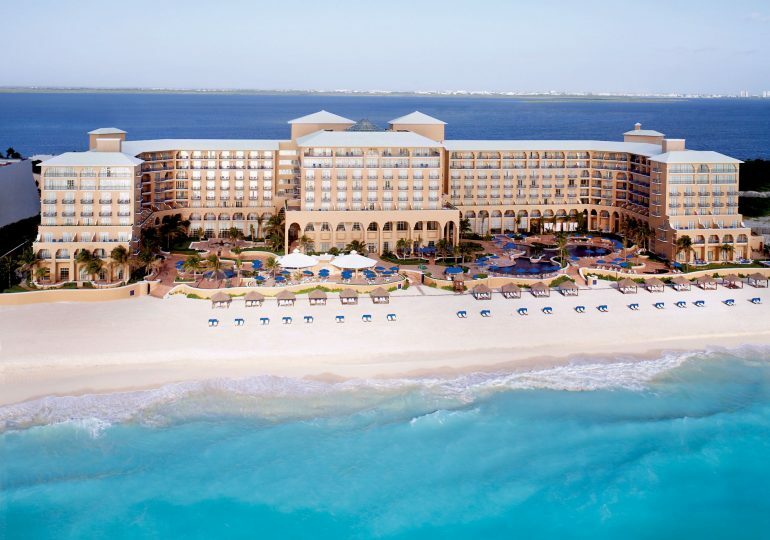 Located directly on white sand beaches, the resort is the only AAA Five Diamond Resort in North America with two AAA Five Diamond Restaurants, Fantino and The Club Grill. 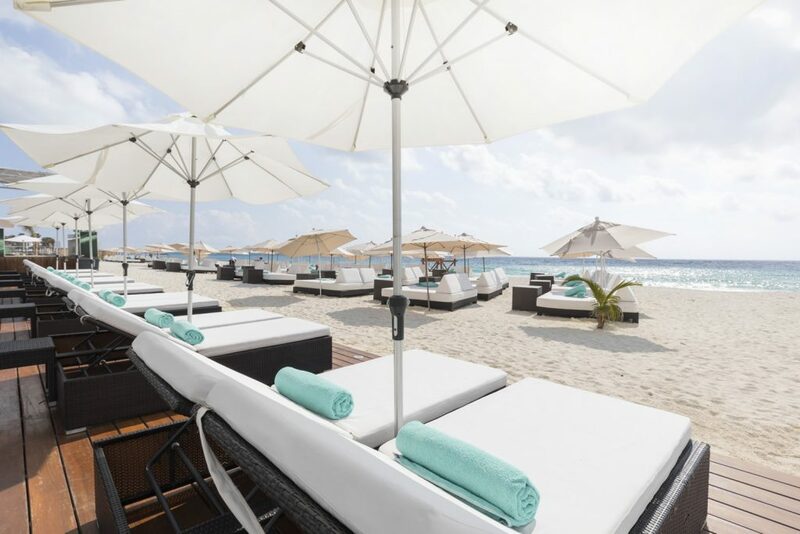 Perhaps the most idyllic dining available at the resort are the casitas, the only spot in Cancun where private on-beach dining is still available. 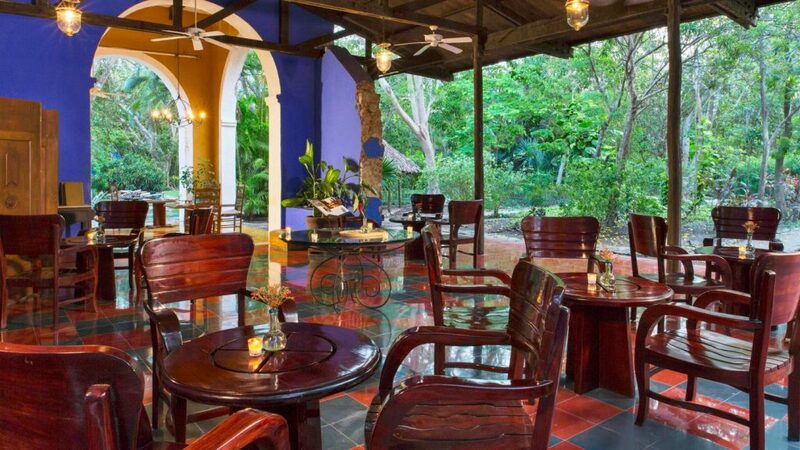 Melody Maker a multi-sensory all-inclusive hotel and entertainment venue. 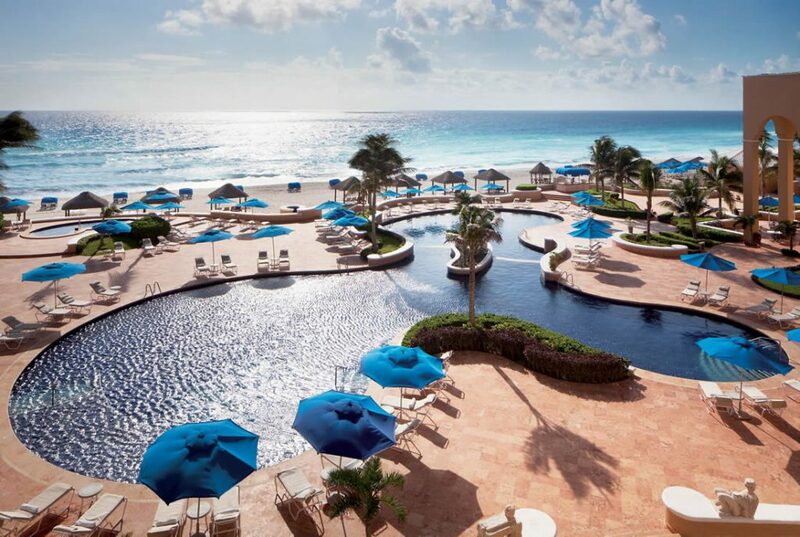 The resort pairs the lifestyle and excitement of a beachfront hotel, world-class entertainment and fine dining with the amenities of a luxury resort, creating an unparalleled “Vegas-meets-Cancun” experience. The hotel’s top-tier concert schedule includes David Guetta, Tiësto, Maná, Steve Aoki, Dillon Francis, Elrow and more. Offering a sleek, modern design built for a new generation, the 283,000-square foot, all-inclusive resort features a luxury spa, a state-of-the-art, 24-hour fitness center, unique, music-driven programming, the world’s largest video projection mapping technology, five renowned restaurants serving global cuisine, 20,000 square feet of flexible meeting space, a champagne bar, Nespresso Coffee Bar, and the pulsing day-and-nightlife venues, Delirio Day Club and Clandestino Night Club. Curio in Cayman! 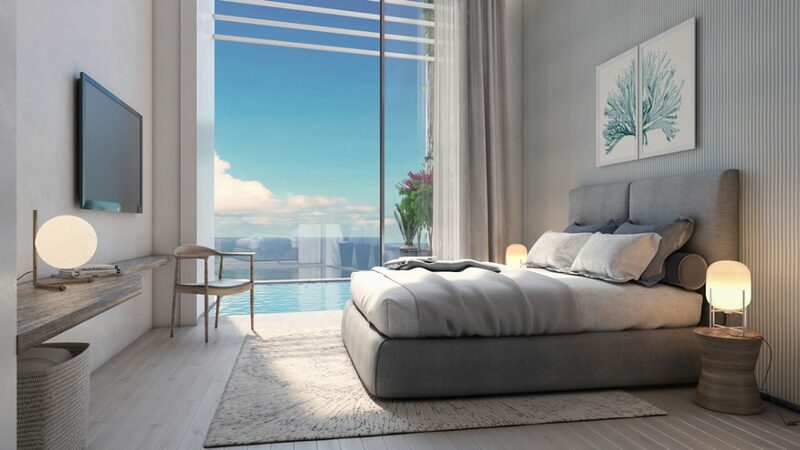 Situated on the edge of George Town, the beachfront hotel boasts 80 suites with spacious floorplans ranging from one to three bedrooms, which will also be available for purchase. 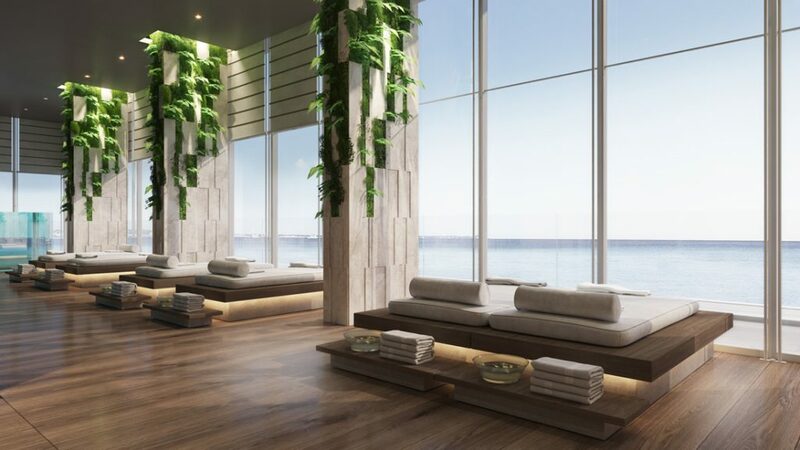 Each suite will feature energy-efficient technologies, in-room yoga mats and fitness equipment, and lighting that regulates circadian rhythm. 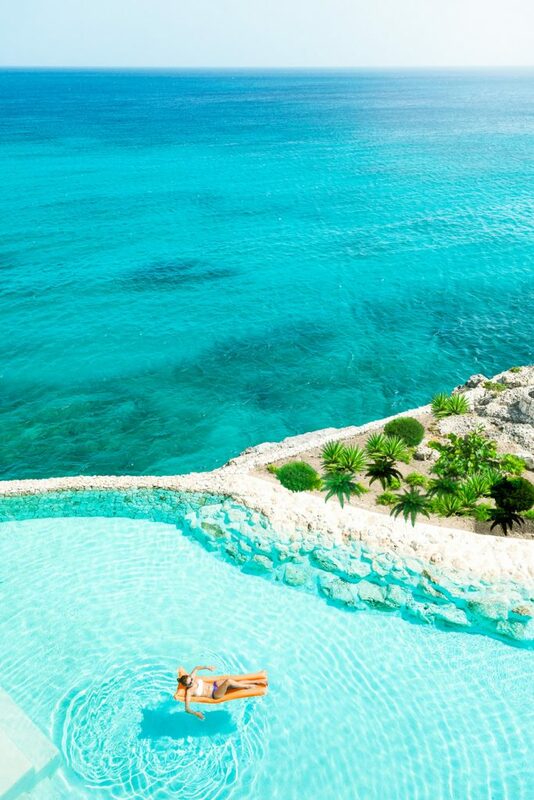 Travelers will also be able to opt for executive and penthouse suites with premier private pools. 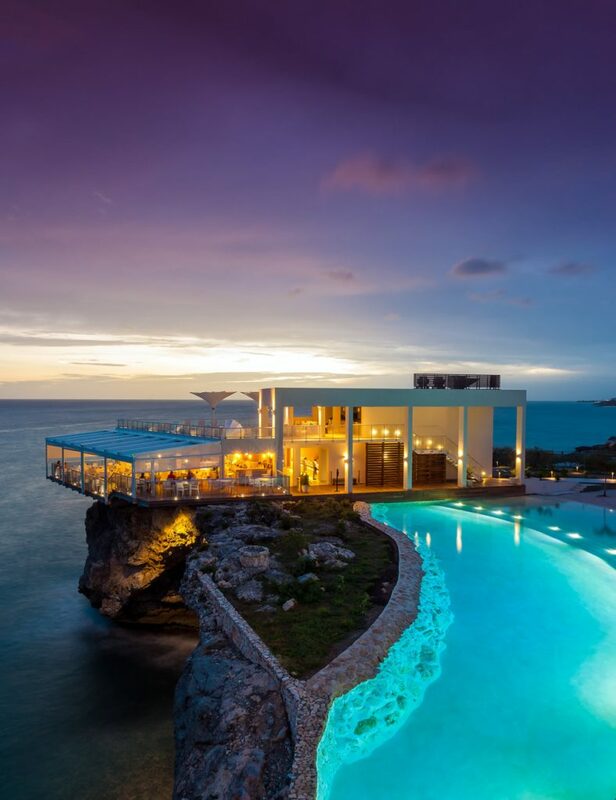 Guests will enjoy farm-to-table dining at two of the property’s restaurants and poolside café, offering local seafood, fresh produce, organic wines and craft cocktails. 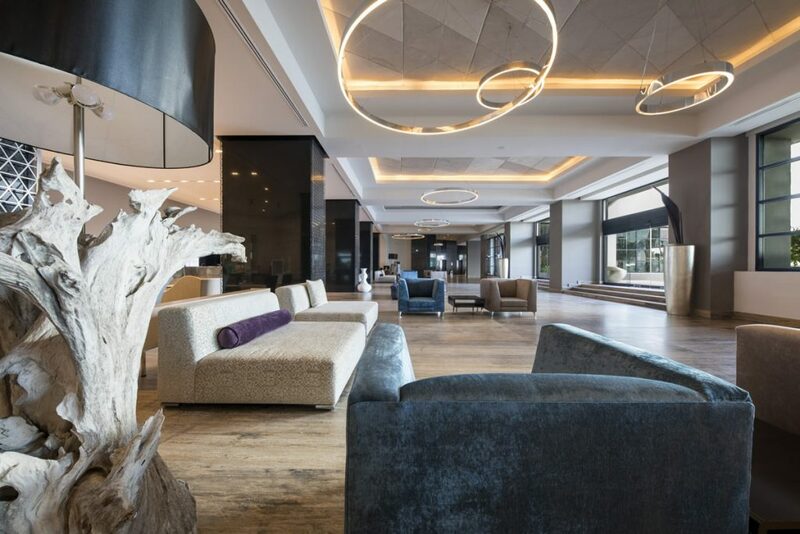 With a fully-equipped gym, rejuvenating spa and conference facilities, the hotel will also provide guests with a refreshing swimming pool complete with a swim-up bar and a fresh juice bar. 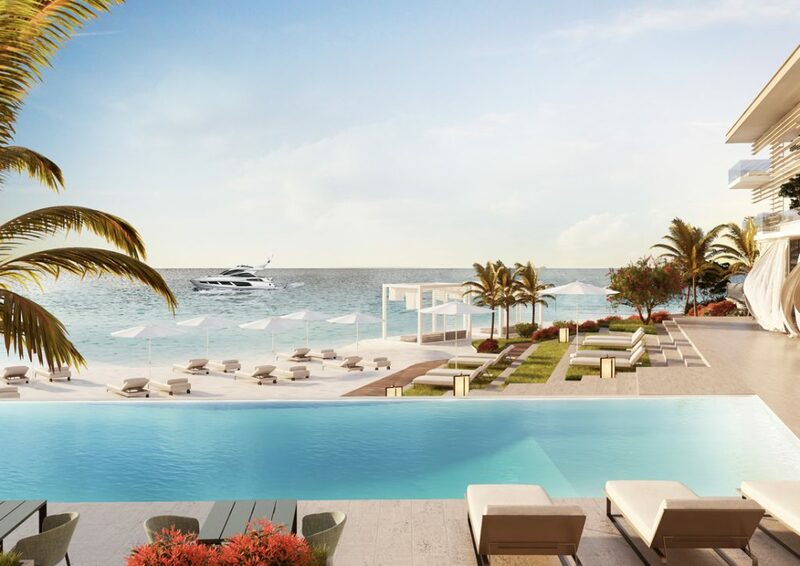 The hotel will also have electric vehicle rentals and complimentary bicycles for eco-conscious guests to ride along and enjoy Grand Cayman’s Seven Mile Beach. Santo Domingo offers a cosmopolitan blend of Latin, Caribbean and European cultures and Hodelpa Nicolas de Ovando Hotel, a designated UNESCO World Heritage site, perfectly encapsulated these elements and offers guests the perfect base to explore the city and the reemerging Zona Colonial, with vibrant art galleries, a hip culinary scene and scintillating nightlife. 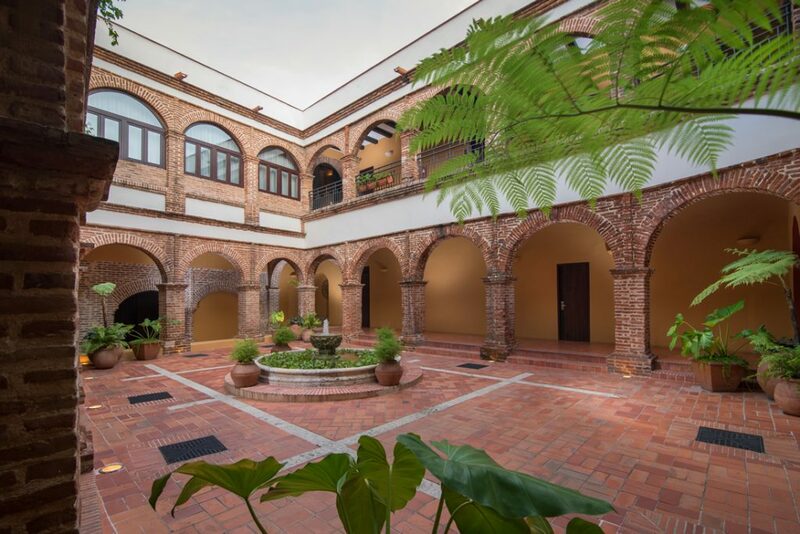 The 92-room hotel offers luxurious accommodations in a one of a kind historical building housed in the restored 16th century home of the city’s founder and first governor, an archetype of the city’s colonial-style décor. 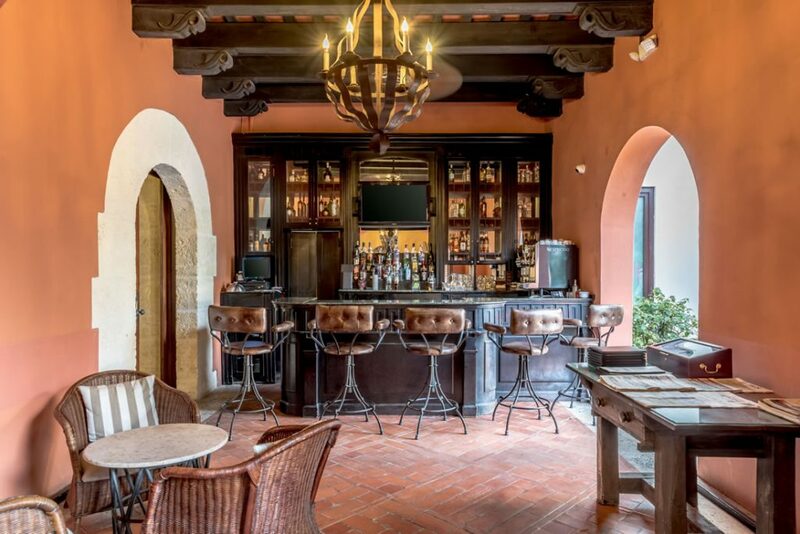 Guests will enjoy an elevated historic and cultural gastronomic experience at 1502 Restaurante, inventive cocktails at the Taberna del Mojito Bar and every modern amenity to ensure a comfortable stay. Rates start at $190 a night. St Maarten is making a speedy recovery after Hurricane Irma last year and coming back “Stronger and Brand New” are the all-inclusive adults-only Sonesta Ocean Point Resort that reopened December 15 and the all-inclusive family-friendly Sonesta Maho Beach Resort Casino & Spa, reopening Feb 27, 2019 just in time for spring break. 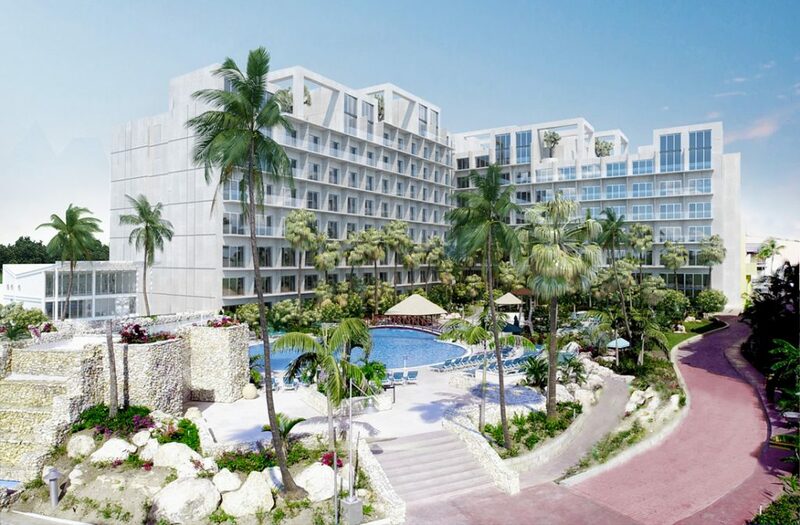 Sonesta Maho Beach Resort will debut a modern new design and guest rooms will receive a thoughtful new layout keeping its signature family-friendly charms, array of restaurants and bars, Kids Club and fun daily activities. 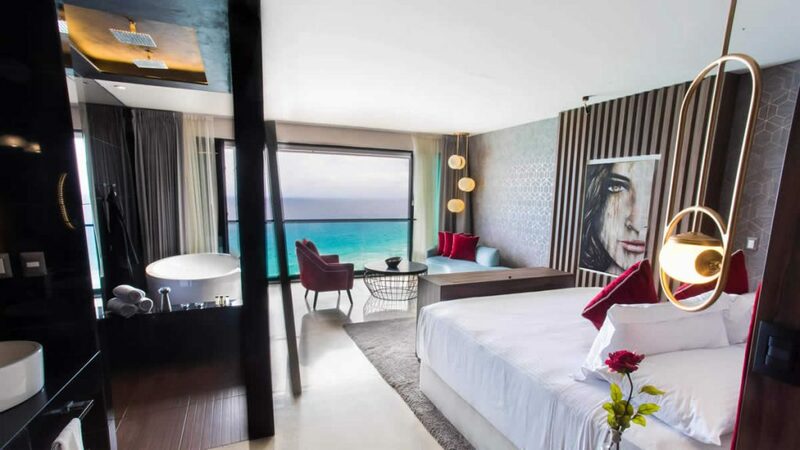 Sonesta Ocean Point now features a new lobby and new Casa Blue, a Spanish-style tapas restaurant, that debuted on the rooftop above Azul restaurant. 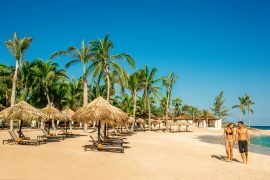 Sonesta Ocean Point rates start at $228 per person, all-inclusive and at Sonesta Maho Resort, rates start at $132 per person, all-inclusive. 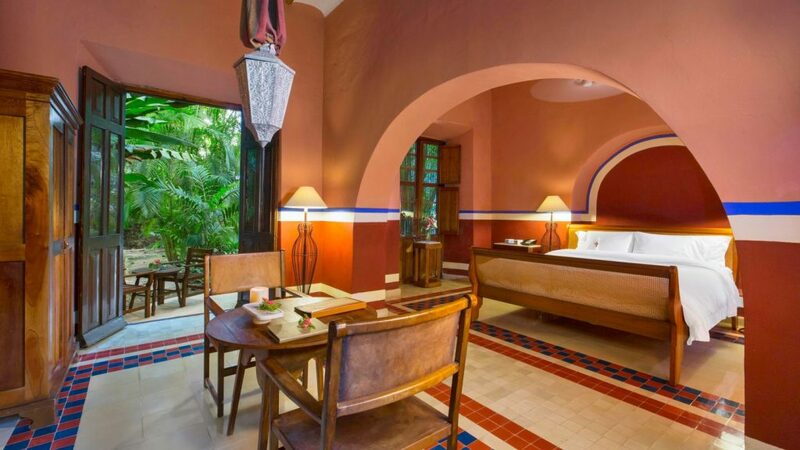 For travelers searching to experience Mexico’s famed Mayan pyramids, Hacienda San Jose, A Luxury Collection Hotel provides an intimate, luxurious stay near Chichén Itzá, the Pre-Hispanic UNESCO World Heritage site. 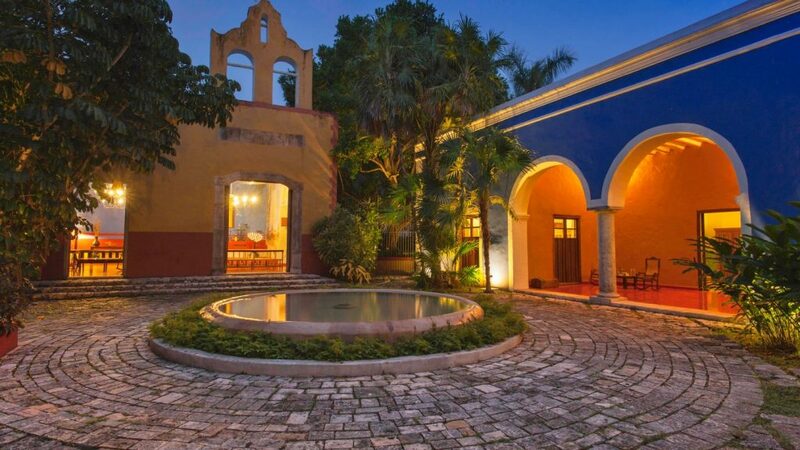 Hacienda San Jose embraces its unique past through private tours of this plantation house-turned hotel. Exquisite colors are found at every turn while guestrooms offer 18-foot ceilings with exposed beams, large wooden double doors and an outdoor pool to transport guests back in time. 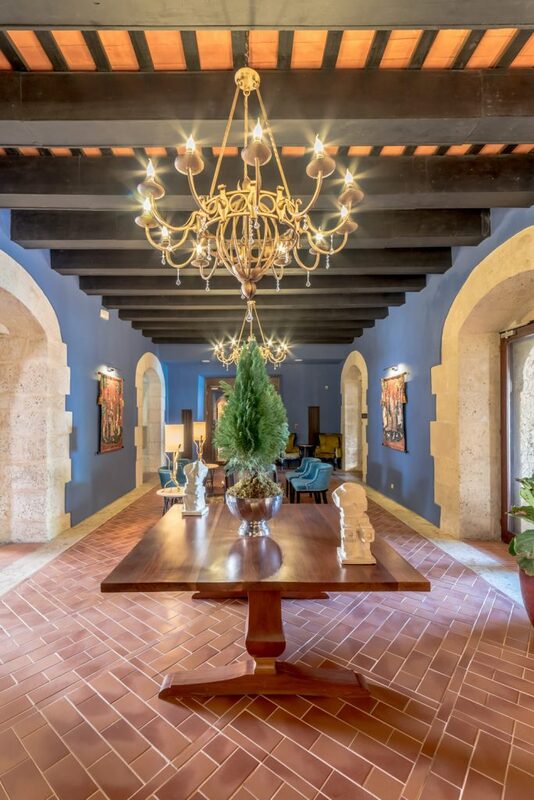 From Sylvia Demarco, the owner of the beloved Dreamcatcher hotel in San Juan, comes the debut of Finca Victoria an altruistic bohemian retreat on Vieques, renovated and restored after the hurricanes with respect to the land, food and culture of Puerto Rico. 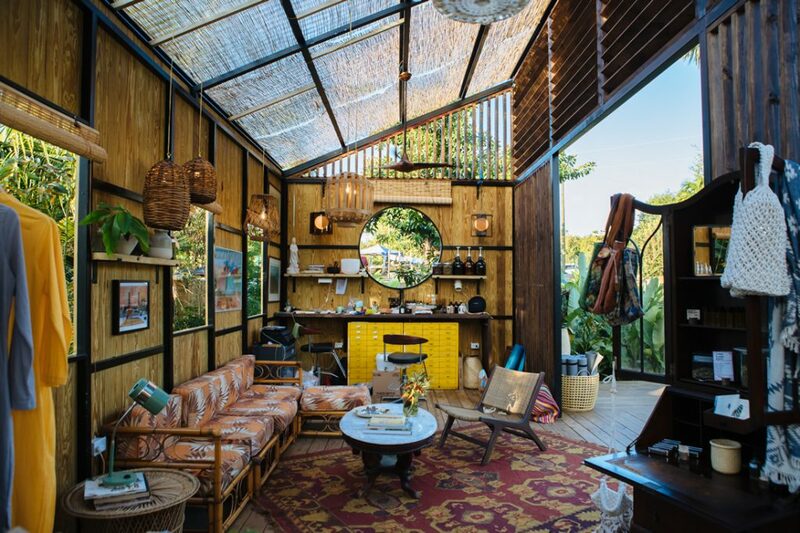 Finca’s newest incarnation will feature a central house with swimming pool, a large communal kitchen and dining area, spacious living room, lounge areas and five guest rooms all done in a colorful and detailed eclectic bohemian style. Finca Victoria opened February 1st and will expand In March with two Baez Haus tree-houses, and by summer will offer a total of 10 rooms and cabins. 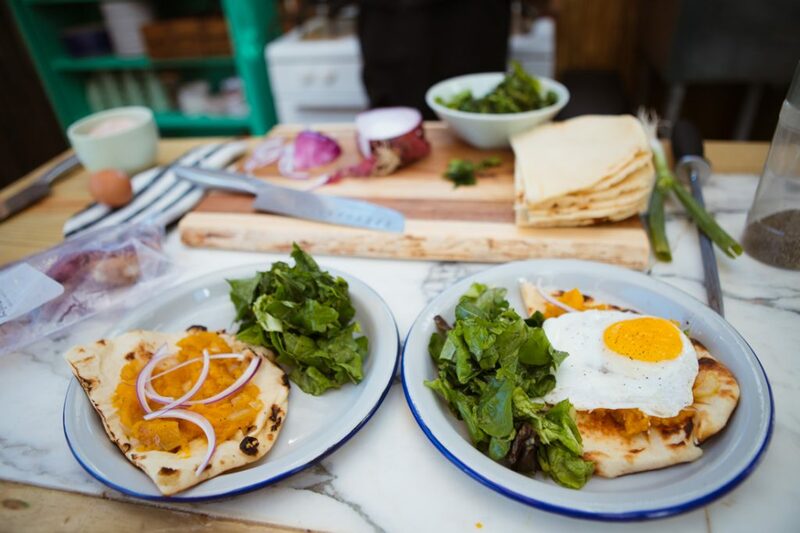 In addition, complimentary vegetarian breakfast and yoga will be offered, a local artisanal boutique and a vegetarian food store with items made from the hotel’s vegetable and herb garden.The property aims to instate renewable energy and recycled water infrastructure to ultimately become entirely eco-sustainable with zero impact to the land. Rates start at $149 a night.